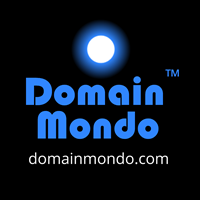 Domain Mondo's weekly internet domain news review (NR 2018-10-07 with analysis and opinion: Features • 1) GDPR, EPDP, and ICANN WHOIS Data Liability, 2)Other ICANN news: KSK Roll Oct 11, and more, 3) a. Malicious Domains, b..COM Domainers re: Verisign, NTIA & ICANN, c. WIPO Workshop, and more, 4) ICYMI Internet Domain News, 5) Most Read. ICANN EPDP Meetings this coming week Tuesday Oct 9, and Wednesday Oct 10 (small group), and Thursday Oct 11: 2 meetings, see below. Non-members of the EPDP working group can follow these meetings via Adobe Connect, or audio cast via browser or application. Links to all EPDP meetings' transcripts and recordings are on the GNSO calendar. Other EPDP links: wiki, mail list, action items, Temp Spec, EPDP Charter (pdf), GNSO's EPDP page and updates. Recording, Attendance & AC chat (Editor's note: the correct Adobe Connect replay link) for the EPDP call to discuss Independent legal counsel to assist the EPDP working group held on Wednesday, 10 October 2018 at 22:00 UTC. Chat transcript (pdf). Thursday Oct 11 EPDP small group (agenda, links to chat transcript, Adobe Connect replay, MP3), 17:00 UTC (1pm EDT). Natural person vs legal entity 11 Oct 2018 (pdf). Thursday Oct 11 EPDP Meeting (agenda, links to chat transcript, Adobe Connect replay, MP3), 13:00 UTC (9am EDT). Purpose B workbook (pdf); Meeting Transcript (pdf). Tuesday Oct 9 EPDP meeting wiki link (agenda), chat transcript (pdf), MP3, Adobe Connect replay, Lawful Basis Memo (pdf); data elements workbook (including Purpose A), work products (pdfs) in relation to agenda item three: Data Elements Matrix, Purpose A, Purpose M, Purpose N. The meeting's focus was on Purpose A, leaving no time for Purposes M & N which also might involve transfer of Registrant data from Registrar to the Registry. Kurt Pritz, EPDP Chair: "I want to welcome David Plumb [CBI.org facilitator] who's on the call who will lead those discussion items. So I'm pretty darn pleased with that." EPDP Oct 4 meeting, p.3. Editor's note: My view is the same as Ms. Taylor's re: admin and technical contacts in the WHOIS directory. That kind of information, like billing contacts and credit card information, if needed at all, should only be held by and between the registrar and registrant. The WHOIS directory is like the Registrar's Office of real estate deeds showing who is the legal owner, or in the case of domain names, the domain name holder (registrant) of record. When you buy a car, the government agency that issues auto license plates, doesn't ask you who your mechanic (or 'technical contact') is, does it? My suggestion for revised WHOIS registrant data fields is here (pdf). ICANN org should have a general retention policy. As part of its GDPR-compliant data processing regime. If so, can this be provided to the EPDP Team? Is there a date limit for ICANN accepting a complaint or request to audit regarding a registration that has been deleted? If not, what is the case of the longest period of a deleted registration that was accepted and acted upon? Request for independent legal counsel to assist the EPDP from RySG (Registries Stakeholder Group), RrSG (Registrar Stakeholder Group), and NCSG (Non-Commercial Stakeholder Group)--Letter October 5, 2018 (pdf). More info on Oct 2-5 EPDP meetings on last week's News Review. UPDATE: Question asked: :Why hasn’t a Data Protection Impact Assessment (DPIA) been carried out to clarify data flows and ICANN’s relationship with the data subject in light of its acknowledged role as a joint controller and Article 35 of the GDPR? ICANN 8 Oct 2018 Webinar replay (Adobe Connect & audio) and presentation (slides) here. Pre-ICANN63 Policy Open House webcast: Thursday, 11 October 2018, 10:00 UTC and 19:00 UTC. The open house will run in English with simultaneous Spanish interpretation. The presentation materials will be translated into Spanish, and posted following the open house with the recordings of the sessions here. Register via this form by 8 Oct 2018. More info here. ICANN63 Full Schedule. a. KSK Roll October 11--the change or "roll" of the cryptographic key for the internet DNS root on 11 October 2018. "It will mark the first time the key has been changed since it was first put in use in 2010"--ICANN.org. More information here and here (pdf). "... we held an Executive Team retreat in Visby, Sweden from 23-26 July." --Goran Marby, ICANN President & CEO (p. 3). Editor's note: No disclosure of the itemized and total costs paid by ICANN org for this annual extravagance. c. If you think ICANN, notwithstanding its incompetence, conflicts of interest, and/or corruption, has a viable future, you may be interested in the ICANN Board and organization webinar on 9 October 2018 at 14:00 UTC (10am EDT) on ICANN strategic planning. More info here. d. End of the Line: "Resolved (2018.10.03.02), the Board directs the President and CEO, or his designee(s), that the pending application for .HALAL and the pending application for .ISLAM not proceed ... Resolved (2018.10.03.01), the Board adopts the portion of the IRP Panel's recommendation that the application for .PERSIANGULF submitted in the current new gTLD round not proceed and directs the President and CEO, or his designee(s), to take all steps necessary to implement this decision." --Approved Board Resolutions | Special Meeting of the ICANN Board 03 Oct 2018.
e. ICANN's new gTLD .BRAND Extortion Racket losing more: .epost and .bond. terminating. a. Malicious Domains: "using a cooling-off period for domain names can help catch those registered by known bad actors"--DarkReading.com. b. .COM Domainers re: Verisign, NTIA & ICANN--StopThePriceIncreaseOf.com. c. WIPO Advanced Workshop on Domain Name Dispute Resolution: Update on Precedent and Practice, Geneva, Switzerland, Tuesday and Wednesday, October 9 and 10, 2018.
d. Domainers Lament "Too many domains, no buyers"--Everyone Trying to Sell Their Portfolios but NOBODY is Buying Them. Now What? | ricksblog.com. e. Alphabet’s new domain name tool could limit malware, censorship, and spying--internet domain lookups are typically unencrypted, meaning hackers and governments can manipulate them to block certain sites or serve up malware--FastCompany.com. Censorship could be just as common in an open internet as a closed one--qz.com. India: Reactions to the Aadhaar Judgement--internetfreedom.in; See also indianexpress.com: Surveillance after the Aadhaar judgment: What Internet freedom? Internet: Inside the Harvard research hub chronicling our relationship with the internet--siliconrepublic.com. 1. 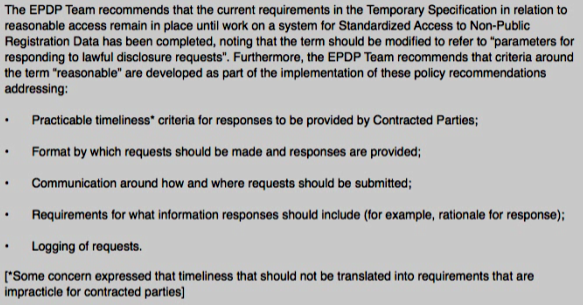 News Review 1) ICANN Org vs EPDP Access? 2) New gTLDs Next Round?